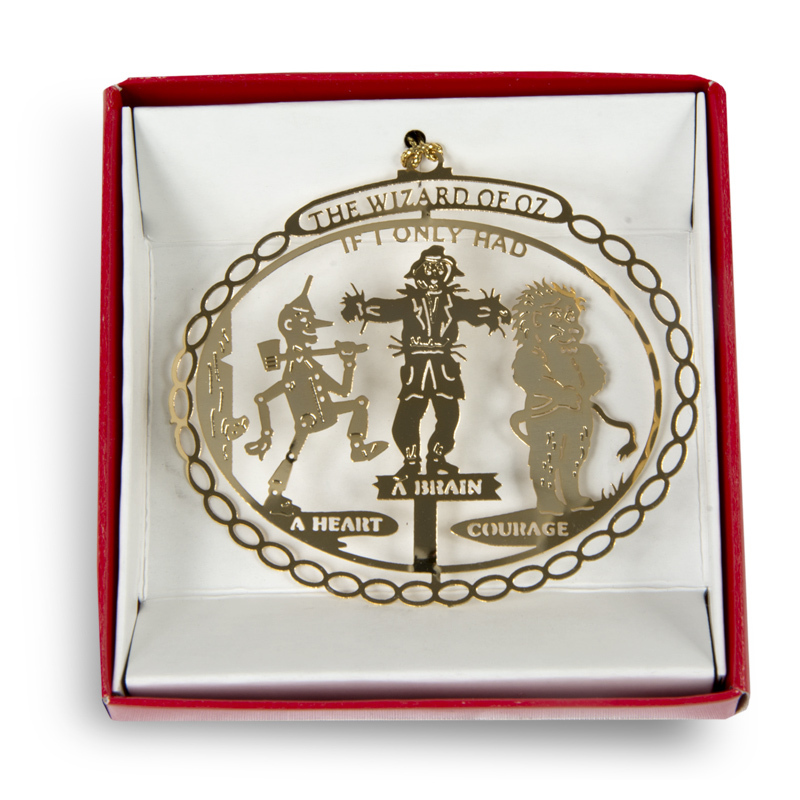 From the popular song in the 1939 MGM motion picture, The Wizard of Oz, the three hopeful characters are featured on this intricate brass ornament. “If I Only Had. . . a Brain, a Heart, Courage” is the plea that carries them to the Emerald City. Based on L. Frank Baum’s book in 1900, the story of Oz became legendary after the 1939 MGM motion picture, subsequent movies, product lines, and Broadway musical.